NOTE: Spanish posters may not include all notices published on the English poster and may vary from our standard 18” x 24” size since government agencies do not issue all notices in Spanish. Did you know you’re required to display certain federal labor law posters wherever you interview job applicants? Along with other mandatory notices, Poster Compliance Center’s Federal Labor Law Poster includes the three notices employers must post for job candidates: the Family & Medical Leave Act, Employee Polygraph Protection and Equal Employment Opportunity. The problem: Most companies display their federal and state labor law posters in areas where employees congregate and where job applicants usually don’t visit, such as company lunchrooms. The solution: Poster Compliance Center’s Federal Labor Law Poster – Applicant Edition. This compact 18”w x 12”h interview room poster is comprised of the three mandatory federal postings for potential employees. 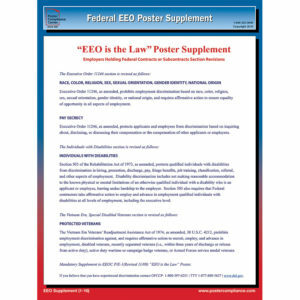 And at only $9.95 for our laminated or unlaminated eco-friendly Go Green option, the Federal Labor Law Poster – Applicant Edition is an economical solution to this compliance problem. 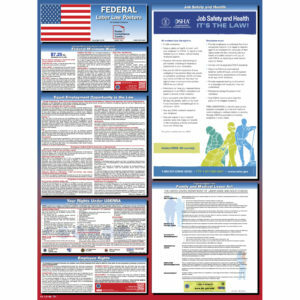 Please note: The Federal Labor Law Poster – Applicant Edition is sold separately and is not included in our OneSystem 1-Year Compliance Plan or our Federal and State Labor Law Poster Sets. 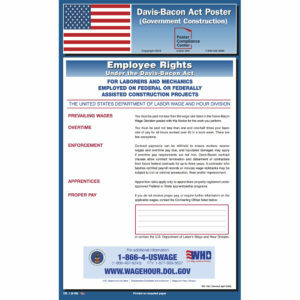 The Federal Labor Law Poster – Applicant Edition does not meet all the federal labor law posting requirements for employers. 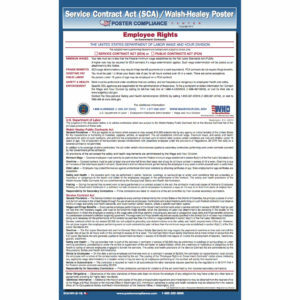 In order to be compliant, you’ll need our Federal Labor Law Poster. For questions about compliance posters please call Poster Compliance Center at (800) 322-3636.